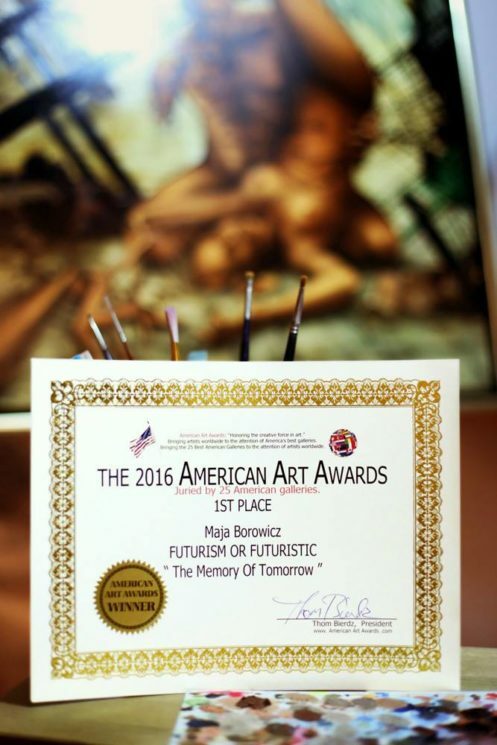 The painting "The memory of tomorrow" is the winner in Futurism category international art contest American Art Awards www.americanartawards.com, organized since 2008. In this year, about the choice of winners decided the jury composed of the top 25 gallery USA. Results published on American Art Awards www.hollywoodalert.com.